How do I become an approved source (SAR)? 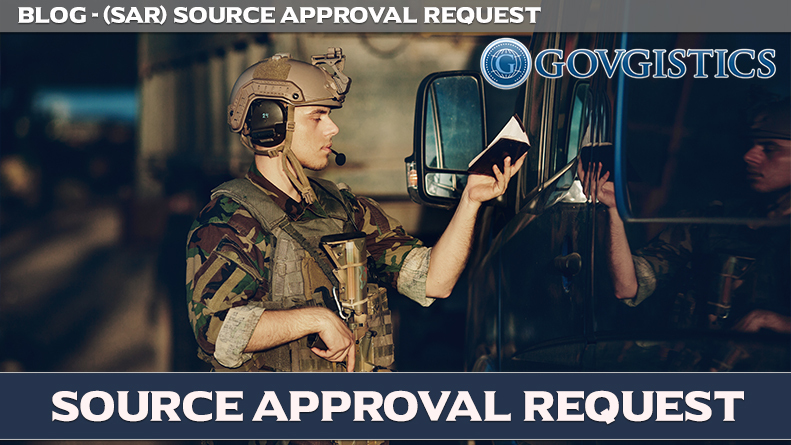 A Source Approval Request contains information about a new prospective supplier and serves the military by providing a way for manufacturers and suppliers to find markets that have little competition. Source Approval Request programs are competition enhancement programs given by the CMO (Competition Management Office). Success of Source Approval is contingent on open dialogue and honest partnership among all involved. The most important step to becoming approved is successfully preparing the Source Approval Package. The Source Approval Package contains technical information needed to make sure the potential supplier can adequately perform ROMM of the item requiring source approval. Must contain a description of the manufacturers and suppliers general capabilities and their ability to produce the selected part. Must state the exact processes and practices the manufacturer will employ in the SAR candidate. Must give a description of the qualification and testing procedures that will be used to show that the item produced will meet or better the current requirements of the SAR candidate. Source Approval requires commitment and dedication to producing and completing the Source Approval Program. You have to remain actively involved in the SAR process in order to receive approval. During the SAR phase, the package must be completed and sent to the CMO for review and approval. This process usually takes between 30 to 60 days. After approval, the manufacturer is allowed to move to qualification and testing phase. This phase takes one to two years before approval. After you receive the approval, manufacturers or suppliers can legally compete against one another for approved sources to supply parts for government requirements. How can Govgistics help me through this approval process? Govgistics is here to help you along the way to becoming an approved source. One of the most valuable features of our Market Research tool is the ability to identify and track Competition, or CAGE codes. Reports supply comparative analytics on competitor’s P&L for contracts awarded, giving customers the power to effectively target new business opportunities and recognize areas of strength and weakness in the marketplace – to whom did your competitor sell, what was sold, when and how much. Our team is here to help you through this process you need to take your business to the next level. To find more out about Govgistics and our services act today and try our free trial. If you would rather talk to a person directly, contact a sales rep at (888) 322-6896.